35 (Many oil companies are also investing in biofuels; see Chapter 2.) Some companies recognize in particular the comparative advantage they have for geothermal and offshore wind development. With environmental goals in mind, oil and gas companies are also invest- ing in carbon capture and storage, natural gas generation, energy efficiency, and nuclear power—with renewables just one strategy among many and not necessarily the most important, company statements suggest.12 Beyond traditional energy companies, recent investment trends by private companies in a wide variety of other industries also suggest future investors. As just one example, Google has invested close to $1 billion in renewable energy projects in recent years.13 Finance experts suggested a variety of other new investment mod- els and mechanisms that could take hold in the future, and cited examples of such models in use today. General categories include community ownership (co-ops and community-based utilities), direct ownership by business and retail power customers, owner- ship/leasing by equipment vendors themselves, ownership by large institutional investors such as pension funds, and ownership by national and local governments.14 Other investment mechanisms cited by experts include default insurance for utility power-purchase agreements, securitization of potentially thousands of rooftop solar PV loans (initiated through banks) into securities for long-term investors, and new ways to involve aggregates of many small investors in larger renewable energy projects. One such aggregation model cited is the U.S. model of master limited partnerships used in the oil and gas industry.15 Most experts foresaw continued markets for the “environmental attributes” of renewables, such as present-day green certificates and carbon trading. But experts also foresaw markets for these attributes expanding and diversifying in ways that are difficult to imagine today. Overall, a common sentiment was that “renewables will continue to be paid for their environmental attributes.”16 In developing countries, finance experts saw a continued need for multilateral finance. Said one, "There are still political and geopoliti- cal risks around the world … We’ll see the multilaterals continuing to fill the gap and provide capital for renewable projects in addition to banks and institutional funds.” But beyond multilateral finance, a number of finance experts also pointed to a “broadening and deep- ening” of finance sources in developing countries. A broader base of institutions, sources, and types of finance will emerge, includ- ing institutional investors, manufacturers, project developers, and other forms of foreign direct investment. And more finance will go to countries beyond the current major recipients (i.e., Brazil, India, and China), to include those countries currently considered “second- tier” and “third-tier.”17 The often-cited risk of utility power-purchase agreements not being honored (also called “power off-take risk) will continue to be a major concern, said one expert. But policy learning, and finding new ways to reduce investment risks, including new types of structured investment funds and guarantee schemes, will be crucial to this deepening. Experts foresaw guarantee funds for power-purchase agreements, construction risk mitigation, and higher levels of equity from local investors. 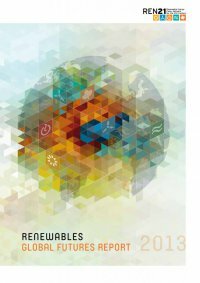 One expert projected that developing-country governments themselves would provide public equity in renewable energy projects, to share risks and leverage private finance.18 As noted in this report’s introduction, some 120 countries around the world have some type of policy and/or target to promote renewable energy, and the number of policies keeps growing year by year. The IEA estimates that government support for investments in renewables will continue to increase in the coming decades through a variety of policy mechanisms. IEA WEO (2012) estimates that government support for renewables amounted to almost $90 billion worldwide in 2011.a This support grows to $240 billion annually by 2035 in the “New Policies” scenario.19 The IEA estimates that EU support for renewables will peak in the 2020s at around $70 billion annually and remain above $30 billion through 2035. U.S. government support will peak somewhat later, at about $60 billion before 2030 (compared to $15 billion in 2009). Chinese government support will exceed $30 billion during the late 2020s (compared to $3 billion in 2009), and government support in India will similarly reach almost $30 billion (although later—by 2035).20 a) “Government support” from policies is both direct and indirect, meaning that it goes beyond direct payments from government budgets. The IEA uses the term “subsidies” in a broader sense to mean “government support,” where costs are met “either through government budgets (for example, tax credits) or by end- users collectively." The IEA defines direct subsidies as “tax credits for production and investment, price premiums and preferential buy-back rates (or feed-in tariffs).” Indirect subsidies “arise from mandates, quotas and portfolio standards, which support the uptake of renewables at higher costs to the economy or the consumer.” (IEA WEO, 2012, p. 233) 03 Great Debate 7 | What Roles Will Oil and Gas Companies Play? Oil companies are a dominant part of our existing energy systems. Will they remain that way in the future? Clearly, oil companies are positioning themselves as biofuels suppliers in addition to many agriculture-based biofuels producers. Over the past decade, some oil companies have sought to position themselves as future suppliers of hydrogen from renewables, or have tried to get involved in small-scale solar or biomass projects, but with limited success. Some experts believed that offshore logistics capabilities will ultimately mean a major role for oil companies in offshore wind power given comparative advantages, but so far few oil companies have gone beyond expressing interest. Notes and discussion: See Annex 4.